I'm Beth! I'm 22 and I'm from England. I don't use scratch as much now because I prefer other programmes but I still like how easy it is to use. Currently planning a new Splatoon Character Maker V2 (old V2 is effectively scrapped). 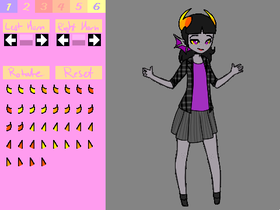 I make a lot of random generators, dress up games, etc. !